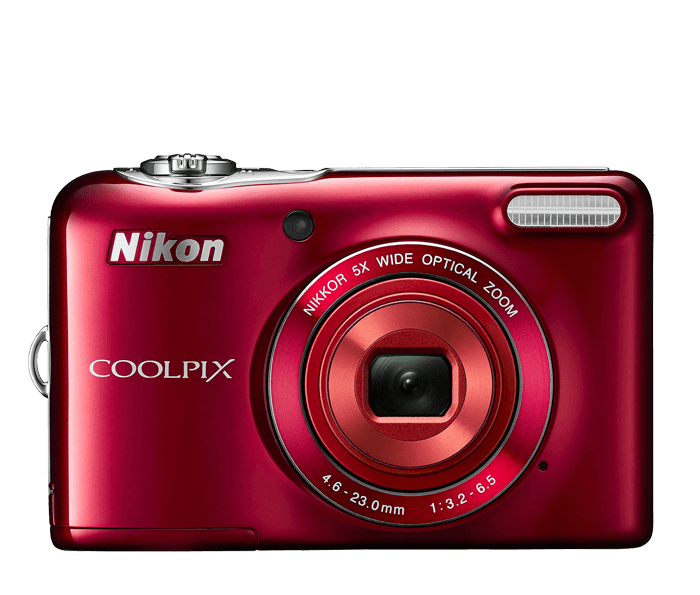 No reading required with the stylish COOLPIX L30. It captures the shots you want, the way you want them, with little more than the push of a button. Just pull it out of your pocket or purse, zoom in with the power and clarity of a genuine NIKKOR glass lens and catch detailed 20.1-megapixel close-ups. A smartly placed video button means you won't have to take your eyes off the large LCD to start recording HD video, and an anti-reflective coating helps to ensure you'll have a clear view, even on bright sunny days. Easily add fun with Glamour Retouch, overcome difficult shooting situations simply by selecting a Scene Mode, say goodbye to red-eye and blinking in your portraits, plus much more. Bring home great photos and videos.